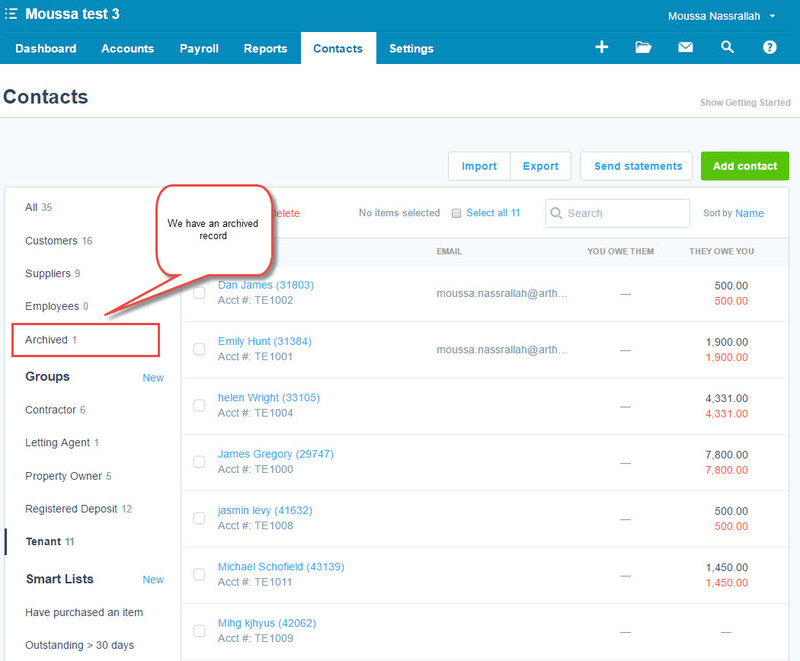 There are many reasons tenancies or tenants do not appear in Xero. This article will provide you with a few areas to check/things you can do to get the tenancies/tenants where they need to be. 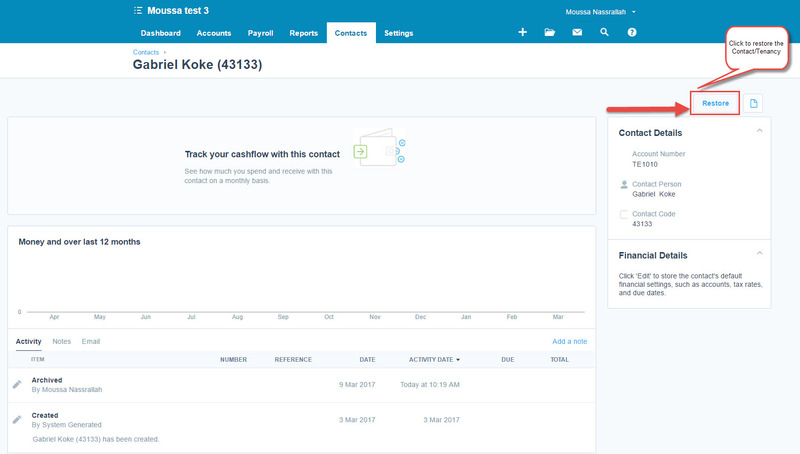 Often a tenant will not go over to Xero if an email address has not been entered correctly. This may arise if there is an extra space somewhere in the email address, or if the email is missing an ‘@’ in the body. Quite often this is the reason a tenancy will not go across. 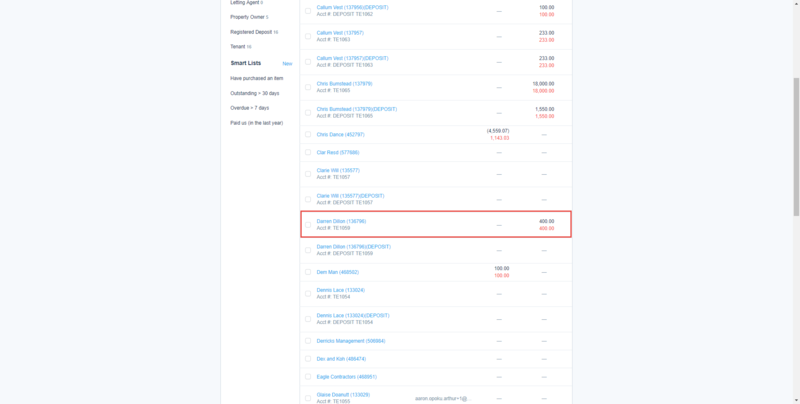 You may have archived a tenancy record in Xero. 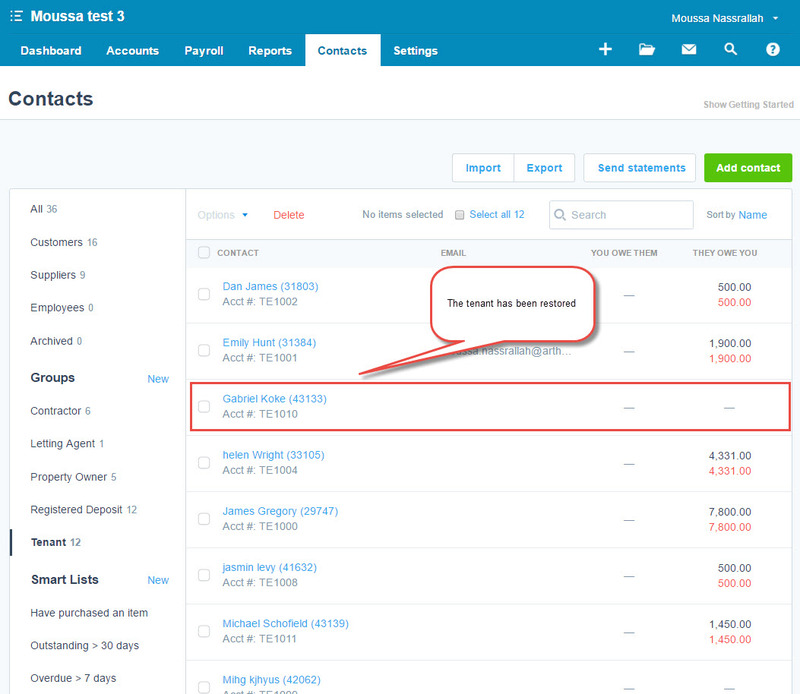 For example, in Arthur you still have the tenancy, but it has been archived in Xero. 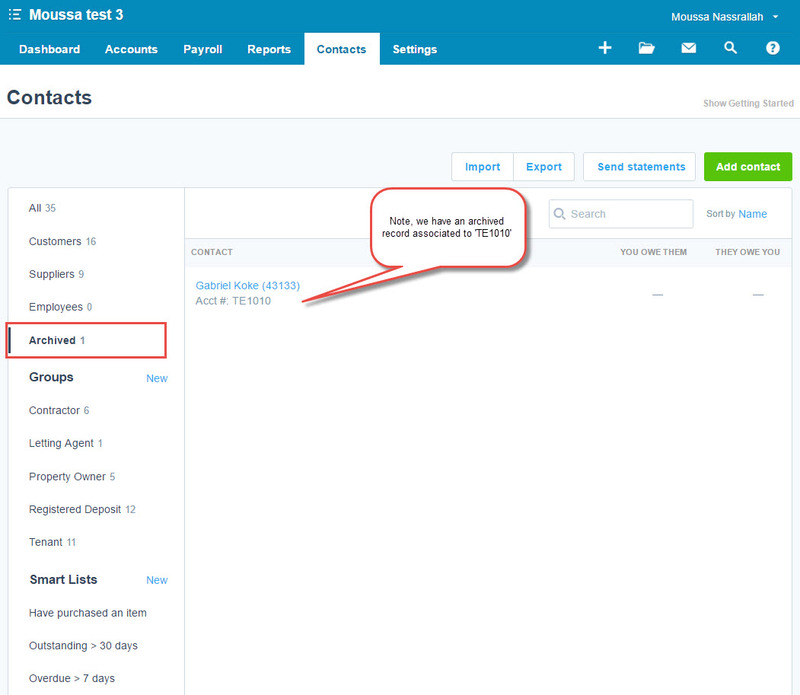 To check this, in Xero click on ‘Contacts’ and then select ‘Tenants.’ This will show you the following screen. We then click on the record that has been archived, and select restore as shown below. Syncing will now populate Xero. 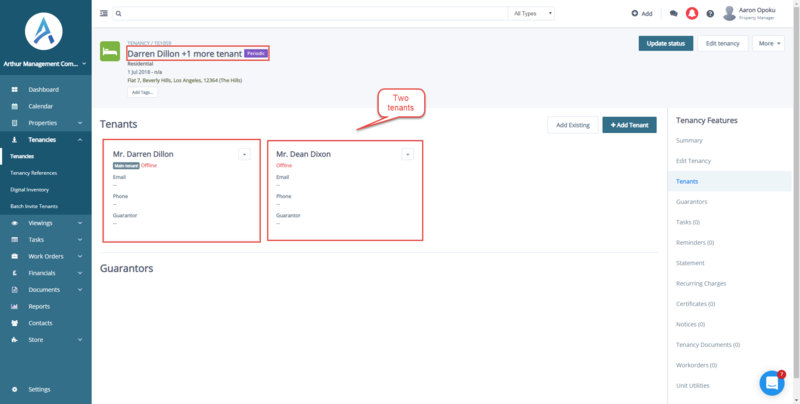 If you have a tenancy with multiple tenants on it only the ‘Main Tenant’ and their information will go across. As you can see below, currently only the main tenant will go over for the tenancy.